Norway was one of the focal points of both the allies and the axis during the second World War. Numerous battles and other capital events took place on Norwegian soil but none is more harrowing than the Arctic escape of sergeant Jan Baalsrud in 1943. In April 1940, the German army invaded Denmark and Norway simultaneously. While the former had no natural defense from the advancing army and was conquered in just a few hours, Norway was a harder nut to crack so to speak, and the German plans for a quick take-over of Oslo, the capital, came to nothing, in large part due to the actions of a courageous North-Norwegian colonel. Still, after a few months of intense fighting, the whole country fell under the control of the German army. The exiled government, still ready to fight, allied themselves with the British forces and started organizing a nation-wide resistance movement, the goal of which was to sabotage the military and industrial complexes. The first of these actions took place, incidentally enough, in the Arctic, in March 1941 when an allied force of British and Norwegian soldiers attacked the archipelago of Lofoten in order to destroy the glycerin factories used in the making of explosives. The raid was highly successful and it led to the organization of many more in the following years. The Lofoten raid of 1941 was the baptism by fire for the Norwegian Independent Company No. 1, which later became famous as the Linge Company after its founder Martin Linge. About 300 Norwegians were recruited and saw action under the banner of the company from 1941 and 1945. Jan Baalsrud was one of them. Baalsrud, a young man from the Oslo region, was willing to put his life at stake in order to fight the occupying German army. Already in 1940, while based in neutral Sweden, he was an active member of the then-embryonic resistance movement and was even jailed for months by the Swedish judiciary for spy-related activities. Later, Jan managed to reach the United Kingdom, strangely enough, by way of the Soviet Union. Upon arriving there, he joined the Linge Company and was quickly promoted to the rank of sergeant. Ultimately in 1943 he was selected for a sabotage mission. The expedition was set to leave the Shetland Islands the 24th of March with 12 soldiers. Their destination: Tromsø, where they were supposed to meet a local contact who would help them gain access to the hydroplane airport and the military airport situated nearby in order to render them unusable. The plan did not go as planned though. The crew of the ship, a little fishing vessel named Brattholm, was supposed to reach the coast of Norway by the island of Senja but upon arriving there, they spotted a German patrol-ship and had to leave. Sailing northwards closer to Tromsø, they reached the little island of Rebbenesøya and made contact with the owner of a local store that was sympathetic with the resistance. Unfortunately, the store owner had died more than a year ago and the new owner of the store refused to help them, instead, he contacted the German garrison, telling them soldiers had come to him. The next morning the twelve freedom-fighters were discovered by a German warship and had no choice but to blow-up the Brattholm and attempt to escape. However, all of them were either killed on the spot or captured and executed later. All except for Jan Baalsrud who managed to swim in the ice-cold fjord and reached the island of Hersøy where local women took him in in secret. After a short while, Jan realized that the only way he could make it out of there alive was to leave the country altogether and reach the border of neutral Sweden about a hundred kilometers to the south. It was the start of one of the most epic journeys which ever took place under the skies of Arctic Norway. Jan Baalsrud was very lucky on two fronts: he had not been been too badly hurt in his escape from the Germans and the first people he met were immediately sympathetic to the cause of a free Norway and helped him as much as they could. The various homesteads, families, and individuals he met on his way gave him food, shelter, safe passage, and even more importantly, information about local people who were involved in the resistance movement. The first leg of the journey which led him to the mainland took 4 days and was plagued by violent snowstorms but ultimately, on the 4th of April, Jan reached Ullsfjord on the West-side of the Lyngen alps, a heavily-fortified area teeming with German soldiers. The enemy soldiers were not the worst threat though: Jan had to face some more dangerous snowstorms and when the storm ceased, he became snow-blind and wasted three days trying to find a way out of the mountains. On the 8th of April, more dead than alive, he finally reached the household of members of the resistance who looked after him for a few days. When he finally came back to life, Jan was sent to neighbors who dodged German patrols to row him over the Eastern side of the Lyngen fjord by the little valley of Manndalen, only a few dozen kilometers away from the border. Shortly afterwards, Jan had to cut off several of his own toes which had gotten gangrene. He was then left, on the 24th of April, under a rocky promontory high up in the mountains. Jan stayed there for five days until another local family took him in. The plan was then to take the now extremely weakened soldier over the mountains to nearby Finland and then, to Sweden. Dangerous weather conditions made this impossible until the 27th of May when he was entrusted in the care of two Sámi reindeer herders who smuggled him over to Sweden on the 30th of May. Jan’s journey had taken two whole months but he was finally safe and sound. When he had regained all of his capacities, he returned to England where he became a weapon-instructor for the company. 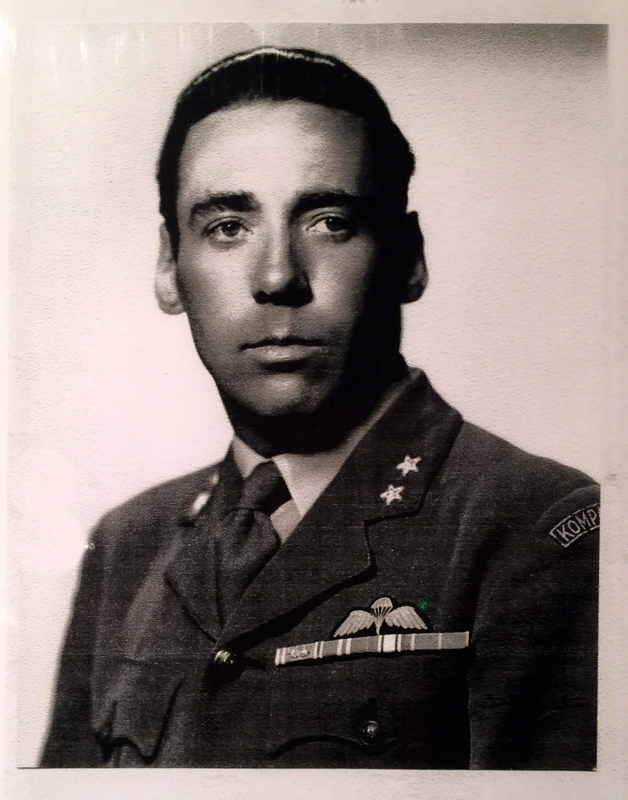 After the war, the story of Jan Baalsrud became well-known, both in Norway and over the whole world. He received, in recognition of his services, the Medal of Saint Olav with Oak Branch, a distinction only given to less than a thousand individuals. Among other decorations, he was also awarded the Order of the British Empire. In 1955 the Shetland naval officer David Howarth published an account of Jan Baalsrud’s flight under the title We Die Alone: A WWII Epic of Escape and Endurance. The book proved to be extremely popular, especially in Norway where it was adapted into a movie, Ni Liv (Nine Lives) two years later. The movie proved to be so popular that it is often considered to be among the very best Norwegian movies ever made and was even nominated for an Oscar the following year. Today, the memory of Jan Baalsrud’s escape is still vivid in Norway, especially around Lyngen where some of the young girls and boys who took care of him still live. There is no doubt that this incredible tale of courage, goodness and temerity will not be forgotten any time soon. (1) Jan Baalsrud article on the Norwegian Biographical dictionary. (2) Jan Baalsrud og de som reddet han written by Turid Hausner at Furuflaten in Lyngen. (I) Jack Fjeldstad in the role of Jan Baalsrud in the 1957 movie Ni Liv. Ⓒ Nordsjøfilm. 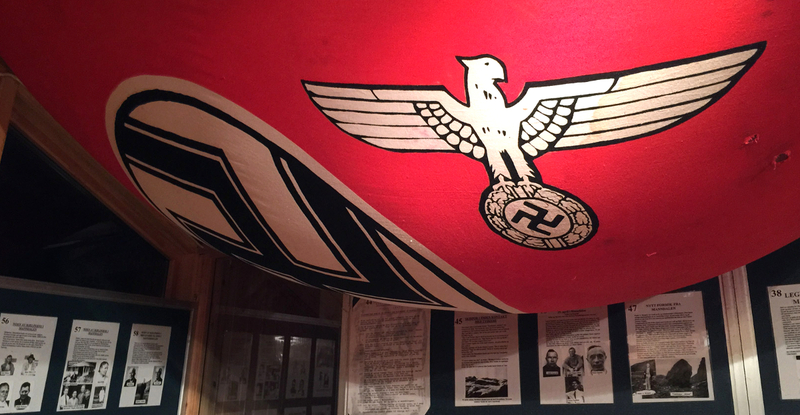 (II) A Nazi flag at the Jan Baalsrud exhibition at Furuflaten, Lyngen. Ⓒ Stiftelsen Jan Baalsrud, 9062 Furuflaten. 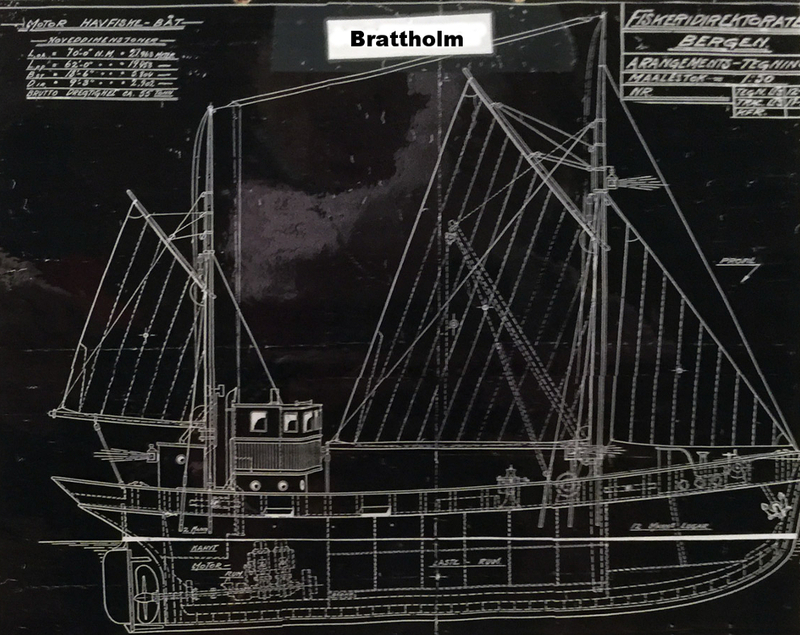 (III) Blueprints for the Brattholm fishing vessels at the Jan Baalsrud exhibition at Furuflaten, Lyngen. Ⓒ Stiftelsen Jan Baalsrud, 9062 Furuflaten. (IV) A picture of Jan Baalsrud at the Jan Baalsrud exhibition at Furuflaten, Lyngen. Ⓒ Stiftelsen Jan Baalsrud, 9062 Furuflaten. (V) Artwork for the 2014 Tv series i Jan Baalsruds fotspor by the Norwegian television station NRK.